I got a message from a friend the other day inviting me to watch a movie. Due to the need to destress and chill after a very tiring day at work, I immediately said yes to her invitation. And since it would be my first time to watch a Kathniel movie - Can’t Help Falling in Love, I decided to give it a go! The movie was just fine, maybe because I was expecting more from Kathryn (who played GAB) nevertheless, Daniel (who played the character of DOS) was a stunner. But what I actually liked about the movie which got me tied to my seat was their relatable lines. The movie has an overused Pinoy RomCom formula, but I was bothered by Kathryn’s character in the movie – she played the role of a matured woman who lives her life according to her mom’s vision of a perfect life and seeks approval from her boyfriend of 6 years before making any decision. Nonetheless, I love the plot twist of the story and how she finally opened her wings and stood on her own. I got affected and I hate it, haha. My point here is that – why it would take years for someone to realize the importance of freedom? The value of being independent. The understanding that not all the time you have to defend your fate to the people around you. To know that you’re your own. That you have your own decision in life. That living life without pleasing anybody’s desire is far way better than waiting for their validation to live. I am an independent person who lives alone and is really loving my life today as I don’t allow myself to seek validation from others. I don’t want to be like Gab or Kathryn, whose life is limited to either her mom’s and/or boyfriend’s decisions at the start of the film. Regardless of my gestures, my deeds and who I am, there will always be someone who will never approve of me. But who cares? I know I don’t, for I am not here to please them. In fact, it is a given in life that we will always be criticized, we will always have ghost haters, negative heads around and people just standing there, staring and judging us. But hey, they won’t stop me from doing anything and everything I want – to be who I am and who I want to be––the only approval I need is from myself. Seeking approval from others will surely give complication in living my life to the fullest. So cutting off the negativity, being contented and staying true to myself are just some of the few steps for me to take and not to wait for others to give me the OK to live. Don’t let others tell you which path you should take and how you should drive yourself way up. And don’t wait for others to drive you around for you don’t know where they’ll take you and where you’ll end up. So know and understand yourself. Be a goal digger with on point life targets. Set the expectation for yourself and drive on! Don’t be afraid to fail, because I know that this is not an easy journey to take and its part of the process as long as you follow your heart passionately, then there’s nothing for you to worry about. Go to the places you want to see and carpe diem, because those who don’t approve will just be traffic lights on your way to your destination. Keep in mind, do not let those who disagree with you on your path to greatness keep you from moving on. You might stumble, step on a few stones, but don’t lose track of your end goal and ultimate purpose. So don’t try to live your life pleasing everyone and asking for approval, live your life to the fullest. You are your own person and you should not have anyone dictating you. 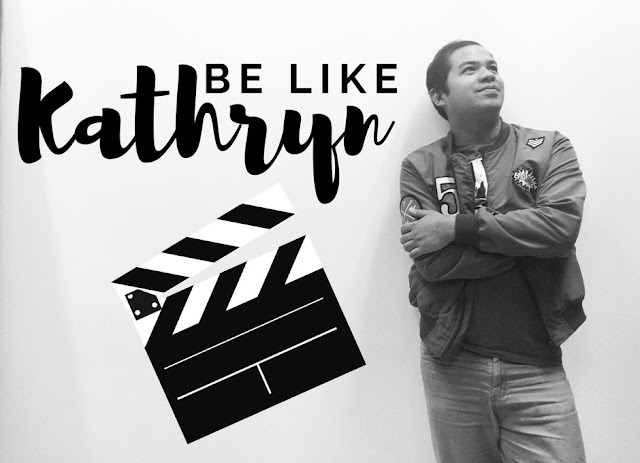 Be like Kathryn Bernardo at the end of the film – brave and willing to take risks to achieve freedom and real happiness.